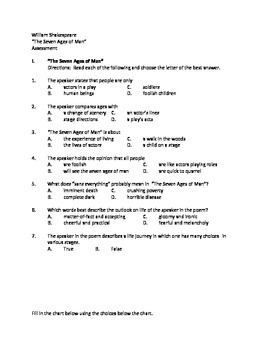 This test should be utilized after reading and discussing the poem. The assessment contains 21 questions. The key is included. I also have a PowerPoint presentation and a literary concept activity about this text for sale.